Taxis are a great way of getting around Barcelona safely, and they are one of the most efficient ways of travelling and touring the city. 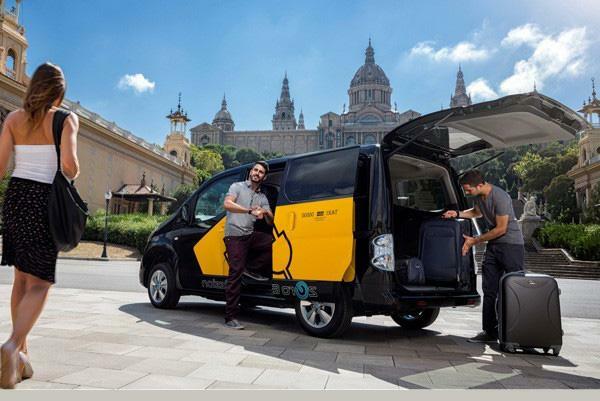 Always make sure that the taxi your getting into is black and yellow, because they are the official taxi colour in Barcelona. You can';t miss them, as there are a great many taxis in the city. If you are planning on using a taxi, then look for the green light on the roof. Official taxis are monitored by the local authority, which means you can sue for things such as unfair fares and inappropriate behaviour. If you are going to order taxis, then book online and get the best prices. When you get into the taxi, always check that they start the meter as soon as the taxi journey begins. A common trick is claiming that they forgot to put the meter on and so they have to "guess" how much your fare was. Also, check they don’t turn the meter off in the process of them driving you to your destination, because they will pull a similar "guess the fare" trick and tell you that their meter has been faulty. If you run into the hotel to get something from your room, and the ask the taxi to wait, you should also ask that they pause the meter so you wont be charged extra. Taxi drivers are only allowed to have four people in a car at a time. If it is a minivan, they are allowed up to eight passengers. If you feel there is something wrong, or you are not sure how much money you should be charged, ask the taxi driver for a receipt before paying. Official taxis should be able to print you a receipt from their taxi meter. If you are still learning the language, the phrase is "Necesito un recibo" in Spanish. The best and safest place to find a taxi is at a designated taxi stop (taxi rank). Otherwise, your best bet is to book online.